There was a time where Hungarian football was a global force, it’s clubs reckoned with and it’s players among the elite of the sport. It’s now a shadow of what it once was. Ilija Trojanovic (@paliserb) takes a look at what happened to the country in the beautiful game, and how the political situation had a positive and eventually negative role to play. On a midsummer’s day in 1954, the grass of the Wankdorf Stadium in Berne was wetter than usual. It was Sunday, the 4th of July, and dark clouds that spewed heavy rain blighted the date set for the 1954 World Cup Final between Hungary and West Germany. In full cruise control, Hungary had beaten the likes of former champions in Brazil and Uruguay to reach the final, and with West Germany playing in their first World Cup since being banned after World War II, Hungary were seen as the all out favorites. On the waterlogged pitch in the Swiss capital of Berne, the next ninety minutes for the most coveted trophy in sports kicked off. Sloppy play by the Germans early gave the ball away to an attacking Hungarian side, and when a shot deflected off a German defender on the counter, Hungary’s talismanic striker and captain Ferenc Puskas was there to slot the ball away. One nil for Hungary, only six minutes played. Miscommunication at the back between defender and goalkeeper served the Germans more dismay as the ball squarely landed at Zoltán Czibor’s feet only two meters away from goal with an empty net. He knew he would score before he actually did. Two nil with eighty-two minutes to go. 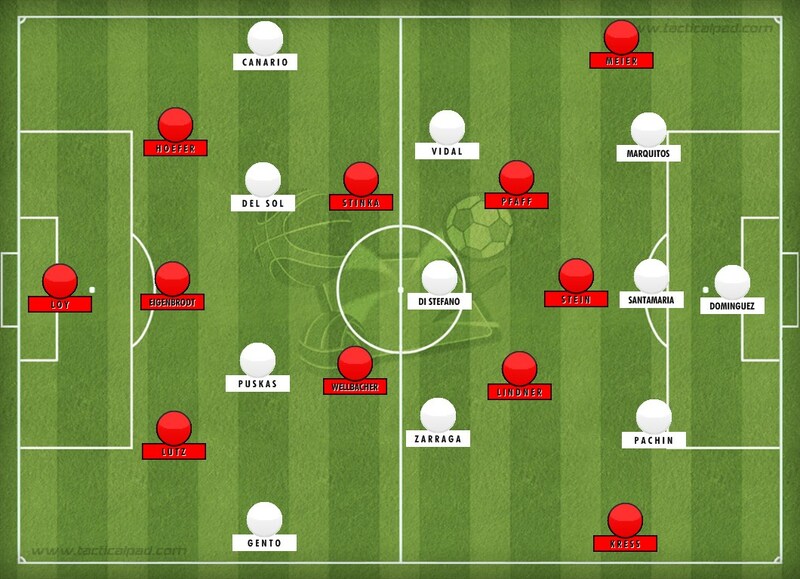 Had the Hungarians shifted tactics and moved to the 1930s verrou system of late Austrian coach Karl Rappan (shortly thereafter rebranded as catenaccio, and less culturally today as ‘parking the bus’), and played more defensively, they surely would’ve walked away champions of the world for the first time. The script had thrashing written all over it, but the Germans clawed back, sooner rather than later. Responding with two goals before the halftime whistle, the score was level as the two teams met again for the catalysing second half. The action began early on, but the climax was saved for the end. In one of the biggest upsets of footballing history, West Germany clinched the win with only six minutes to play when German forward Helmut Rahn beat one defender and rifled the ball into the bottom left corner. Introducing shoes for football players, sporting giant Adidas rose to fame after the victory as their specially-made boots equipped with screw-in studs for different weather conditions were used by the Germans. As the Mighty Magyars of yesteryear are no longer a force to be reckoned with in the footballing world, the Germans have just added their fourth World Cup to their trophy cabinet. 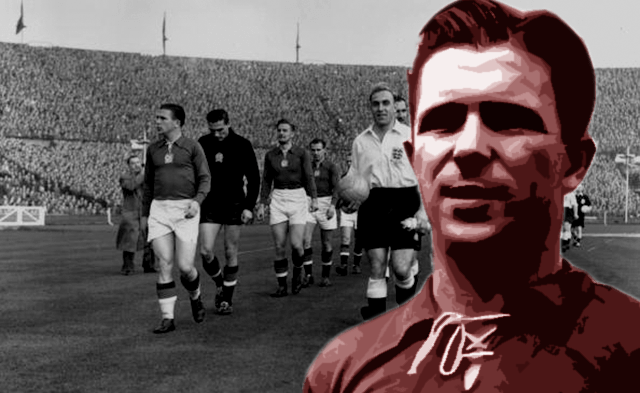 Mentioned in the same breath as Eusebio, Johan Cruyff, and Michel Platini, Ferenc Puskás is regarded as one of the best players to have never won the World Cup. In his time with Real Madrid, he won three European Cups and is the holder of four Pichichis (top goalscorer in Spain) as he amassed more than 200 goals to his name in eight years at the club. So famous in his home country, the youth team of Hungarian club Videoton FC is called Ferenc Puskas Akademia FC and Hungary’s national team stadium is also named after Puskás. If that’s not enough, the world renowned Brazilian striker Pele even named Puskás in his FIFA 100 list of the best century of footballers to grace the game. Virtually, Puskás was the Lionel Messi or Cristiano Ronaldo of Hungary’s national team in the 1940s and 50s, bagging 84 goals in 85 games for his country as the side based their game around him. For the infamous 1954 final in Berne, Puskás was actually not 100% match-fit having having missed the semifinal against Brazil with injury, but then-coach Gustav Sebes could not risk excluding him for the final. Even though Puskás was the team’s paragon player, it wouldn’t be fair to give him all the praise. Known as the Mighty Magyars, the domineering Hungarian national side of the 1950s was also bolstered with players like Zoltán Czibor, József Bozsik, Nándor Hidegkuti, and Sándor Kocsis, the latter man scoring a smashing 75 goals for Hungary in 68 appearances. Loyal to their local sides likes Ferencvárosi, Újpest, MTK, and Honvéd, the Mighty Magyars not only created a buzz when wearing the colors of Hungary’s flag on the international stage, but also boosted the image of domestic football in Hungary. Although not uncommon at the time, every player in the squad that reached the final in 1954 played in Hungary’s first division. Two years after they narrowly missed out on football’s greatest feat, much changed in the domestic game. The year 1956 saw widespread, peaceful protests in the capital Budapest against Soviet rule. Protestors in the hundreds soon turned to the thousands as demonstrations spread to other cities and it looked like the political landscape in Hungary was going to change. But after a month of civil unrest, the USSR sent in the Red Army to countermand the rebellion. In what is known at the Hungarian Uprising, thousands were killed, more were arrested, and the nation’s political clime wouldn’t change for another four decades. Disillusioned with the severity of what many Hungarians – including Puskás, Czibor, and Kocsis – viewed as an occupying nation in the USSR, many left for new pastures. To some, it was the departure of the trifecta that spelled the end for Hungarian football. The three never played for the national team again, with Puskás even being allowed by FIFA to represent Spain at the 1962 World Cup. In spite of the Mighty Magyars’ partitioning, Bozsik and Hidegkuti remained with their clubs playing in the Hungarian top-flight and went on the play at another World Cup in Sweden in 1958. It didn’t end there, a new generation of talented Magyar footballers led their side to the semi finals of the 1964 and 1972 European Championships and the 1962 and 1966 World Cup quarter finals. The level of domestic football didn’t falter either, with many top flight sides making it to finals of European competitions, particularly MTK Budapest finishing as runners-up after losing to Sporting Lisbon in the European Cup Winners’ Cup (then Inter-Cities Fairs Cup, known today as Europa League) final in 1964. Ferencvaros took it one step further winning the tournament a year later. In the shadows of the Mighty Magyars, many football players who did play in Hungary and for the national side never claimed the glory that their predecessors had done. To name a few, the duo of Flórián Albert and Kálmán Mészöly stand out more than others. Like Puskás, Albert is crowned as a legend in Hungary. The club he remained loyal to his entire career, Ferencvaros, named their stadium in his honor. When Ferencvaros won the Inter-Cities Fairs Cup in 1967, defeating mainstay European clubs like AS Roma, Manchester United, and ultimately Juventus in the final, it was Albert who was their most pivotal player. That year he was awarded FIFA’s most prestigious individual award for a player: the Ballon D’or. Nicknamed ‘The Emperor’, Albert was Hungary’s most recent memory of a world class footballer. Mészöly, who played alongside Albert in their country’s run at the 1966 World Cup in England, is more renowned for his coaching than he is for his playing days. Despite the fact that his dark horse team of Vasas SC enjoyed four championship winning years from 1961 to 1966 during his time at the club, Mészöly is remembered for his three stints as national team manager. When he was at the helm for the 1982 World Cup, the Hungarians dealt the El Salvadorans a blow they’ll never forget with a resounding 10-1 victory. This record of the highest goal deficit in a World Cup match only broke their own previous record when Hungary defeated South Korea 9-0 in 1954. Inevitably, football will forever have off-the-field forces that dictate how things go on the field. Hungarian football may have outlived one political crisis, but in 1989, the end was all but clear. As there were evident signs in the Europe of Communism coming to an end, it spelled a whole new outlook for Hungary as a nation – sports included. With its own ministry, its own minister and government officials, and alas its own budget, sports in Hungary was at a standstill. However, many believed that if sport survived the uprising of ’56, where thousands of lives were lost, then surely an ideological remodeling would not have as dire an effect. “It meant, that sports clubs, which were supported by them, also disappeared or found themselves in a very difficult financial situation.” With a now nonexistent second channeling of funds and a reduced sum arriving from the direct channel of the state, Hungarian football’s real twist of fate came at the hands of political shakeup. If once wasn’t enough, twice did the deed. Now ranked 47th in the world (26th in Europe), the last time Hungary qualified for a World Cup was in 1986, and their last participation in a European Championship was in 1972. The club scene isn’t any better, with Hungarian clubs featuring in only two Champion’s League Campaigns in the past two decades; exiting in the group stage on both occasions. The testament to Hungary’s downfall from the big stage of European football came in 1997 when they faced off against Yugoslavia in a play-off that could have taken them to France ’98. The aggregate score was 12-1, to Yugoslavia. So much for their pummeling wins of years gone by. Their most recent horror show came at the hands of the Dutch in an 8-1 thumping during the 2014 World Cup qualifying phase. Albeit slowly, Hungarian football is rising from the ashes. Several players did make remarkable breakthroughs in Europe, like Zoltan Gera, an English Premier League veteran who once scored an overhead kick for Fulham in a win against Manchester United, or Balasz Dzudszak whose scintillating runs down the flanks tormented defenders in the Dutch Eredivisie during his time at PSV Eindhoven. Even before Gera and Dzduszak you had players like Imre Szabics and Kristian Lisztes, who became household names in the German Bundesliga. There’s also the famous man in nets sporting baggy sweatpants Gabor Kiraly, who has played in more than a century of matches for Hertha Berlin and more recently Crystal Palace. Lately, the Hungarian Premiership (known as the Nemzeti Bajnokság I) has attracted many foreign players and coaches. Former Hamburger SV and Borussia Dortmund manager, Thomas Doll, is now at the reins of Ferencvárosi TC, and famous players like ex-Italy international Guisseppe Signori and current Aston Villa defender Matthew Lowton have plied their trade in the Hungarian league. The most recent footballing feat for Hungary came in 2009, when the Hungarian under-20 team finished third at the U-20 World Cup. Nonetheless, like many great footballing nations that slipped off the radar due to political instability (i.e. Yugoslavia, Zaire, and until recently Colombia), Hungary has a long way to go until it can repeat its glory days of the past. Shrinking from a global threat to one of Europe’s whipping boys, Hungarian football is in major need of a facelift. Still, one cast-iron fact that will remain unchanged and serve as a motivational tool to keep moving forward is that Hungary was – and will always be – the first team that defeated England at Wembley. This piece was written by Ilija Trojanovic.